The two teams stood on opposite ends of the arena. The proctor hopped into the middle of the arena. "The rules are the same as last time," the proctor raised a hand and looked at both teams for confirmation that they were ready to start. "Hajime!" He yelled and then jumped back out the way. "Earth Style: Earth Flow Spear," came from one of the Iwa nin named Kurotsuchi. Earth spikes began flowing from the ground. 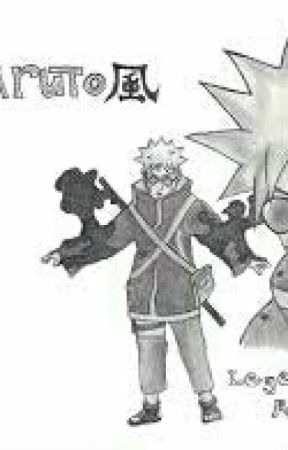 "Hidden Ninjutsu: Serrated Ice Whirlwind," Naruto said. As he threw his Bodihōchō cutting threw the spikes and coating the field with ice flakes returning to him with the use of a spool of ninja wire. “Fire Style: Fire River," Shikamaru said turning the ice into vapor. The vapor made it so only Naruto, Shino, and Neji could see or sense anyone. Neji lunged forward suddenly. "Eight Trigrams" he said hitting the closest Iwa nin knocking him out. But the one next to him brought down his fist rendering him unconscious. "Lee straight ahead," Naruto said. Lee jumped forward. "Dynamic Entry," he yelled taking out the ninja who knocked Neji unconscious. Them jumping back to the other three. "Earth Style: Earth Spear," another of the Iwa ninja said. Naruto was unable to dodge. The spike went threw his body. The entire stadium seemed to hold their breaths as the mist lifted. When it finally did clear everyone saw Naruto impaled by a Earth spear. However, Naruto merely pulled himself off the spike. "Sorry but it’ll take more than this to take me out." Naruto said. His bugs filling the hole in his stomach. Steam burning around the hole. "Naruto it&apos;s time we ended this." Shino said. 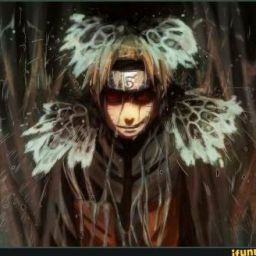 They both began to fly threw hand seals as the Iwa nin charged them. "Hidden Earth Style: Earth Bug Dragon," they said together. And a fifty foot Dragon made of bugs and chunks of earth formed behind them. When it lunged forward it exploded and the bugs drained some Iwa ninja of their  chakra. "Lava Style: Lava Bullets," they heard as some of their bugs caught fire. Kurotsuchi shoot out of the ground where she had been shielding herself from Naruto and Shino’s combo attack. She started throwing volley after volley of shuriken at the opposition. Lee, Shino and Shikamaru dodged them while Naruto batted them out of the way with his Bodihōchō. Shikamaru tried to use his shadow possession and Shino unleashed more bugs. She dodged out of the way sending more lava balls at the bugs effectively killing them. "Leaf Hurricane!" Lee yelled appearing behind Kurotsuchi unleashing an onslaught of punches, kicks and jabs. She blocked most but was still hit by many causing immense pain. In an effort to gain some distance she nimbly jumped backwards but upon landing she found she couldn’t move. "Shadow Possession complete." said Shikamaru smirking while crouching and holding his fingers in the ram seal. Shino&apos;s bugs immediately drained her of her chakra rendering her unconscious. The proctor then jumped into the arena. "The winner is team Konoha!" he announced, as the walls lowered. They saw that Kiri, Suna and Kumo had also won their matches. The fire Daimyo stepped forward. "Moving onto the next round is Konoha with four members vs Kiri with four members as well as Suna with four members vs Kumo with three members. The winners will be taken to their new roles and given meals, while the losers will be taken to the medical ward." He said before leaving proctors to lead the remaining teams to there rooms. "Naruto my youthful friend are you alright?" Lee asked worried for his friend after seeing him impaled. "I&apos;m find my healing factor will take care of it." he replied. The rest of the night was silent, as they went to sleep early knowing they would need a lot of energy for the battles to come. Naruto opened his eyes and saw he was in a sewer. Perplexed he began walking until he reached a humongous cage. All of a sudden a roar came from the cage that flipped his hood down, and ruffled his hair. "So my jailer finally visits me." the beast said. "Hello Kyūbi." Naruto said calmly. "You should thank me gaki, if not for me that hole in your stomach would have killed you." the Kyūbi said. "Think of it as paying rent." Naruto retorted back. "You’re more entertaining than my previous hosts," the Kyūbi said. "I&apos;ll make you a deal, you loosen this cage, and I&apos;ll let you use some of my power," it ssid with a mile wide grin. Naruto thought for a second before the cage expanded. Than the area inside turned into a grass field with a waterfall appearing towards the back. "That waterfall should act somewhat like a viewing mirror to allow you to access my sight amongst my other senses and project my memories if you should wish to do so." he said vanishing from his mind scape. "Much different then my previous hosts." the Kyūbi said drifting into sleep once again. Hidden Earth Style: Earth Bug Dragon must be used in combination with two or more aburame&apos;s or with Naruto&apos;s hive because of the large amount of bugs necessary to perform the technique.